If you are following me on Instagram, you would know that how I [was] nestled between Matte and Gloss. During one of my shoots last week, the videographer asked me if I had like to go matte or go shimmering Gloss, I was very clear that I am going to get confused between the two again. Yes, L'Oreal with its beautiful range of lipsticks and lip-glosses does that to you. 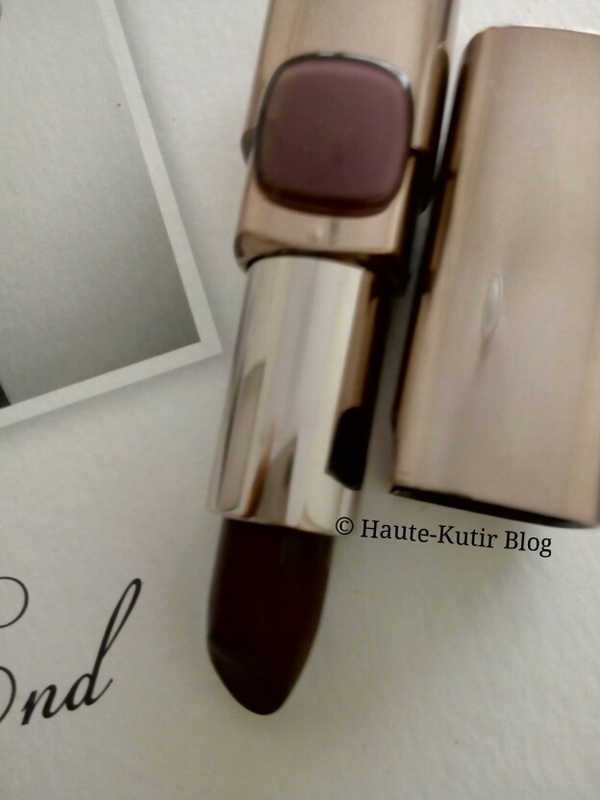 One such beautiful range or let me say another beautiful range from L'Oreal is their new Colour Riche Swarovski Moist Mat Lipstick. Since the tone is rich and deep, I did a mild application of the same using my lipstick brush and paired it with my white Lucknowi Kurta that I brought from the recent business haul to Lucknow. About the Product: L'Oreal Paris Color Rich Moist Matte lipstick comes in 12 intense matte shades that last around 6 hours. It has jojoba oil to keep your lips hydrated while creating a matte finish. Moist Matte is enriched with new light Ilium complex for a rich effect. I loved the deep, rich matte tone. The color looks dark but can be worn subtly, using one coat only. Does not leaves lips chapped. I guess the price is little on a higher side and given the fact that it is called Swarovski when I could not see a single crystal-studded on it. 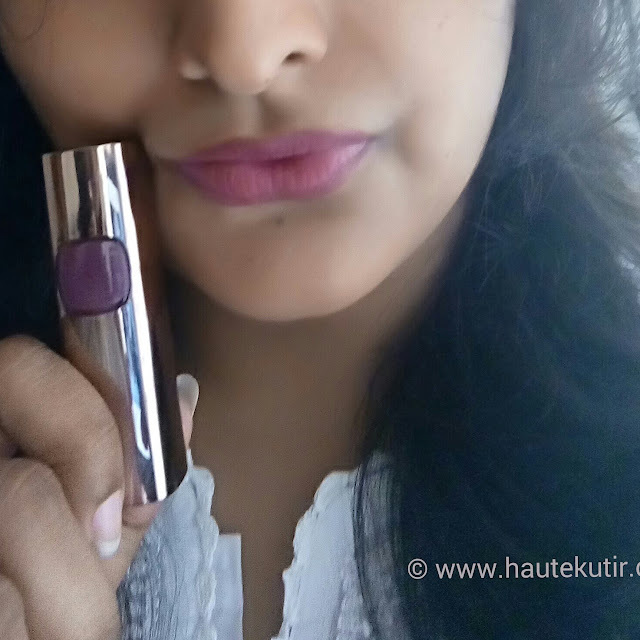 Haute Kutir Verdict: In spite of the high price, the lipstick is drool-worthy and definitely a must-have. Like I said, I loved the deep matte finish. The product comes in a beautiful golden tube case and is quite light to carry around. However, the one I got had no crystals studded to it, so I am not sure why is it Swarovski? 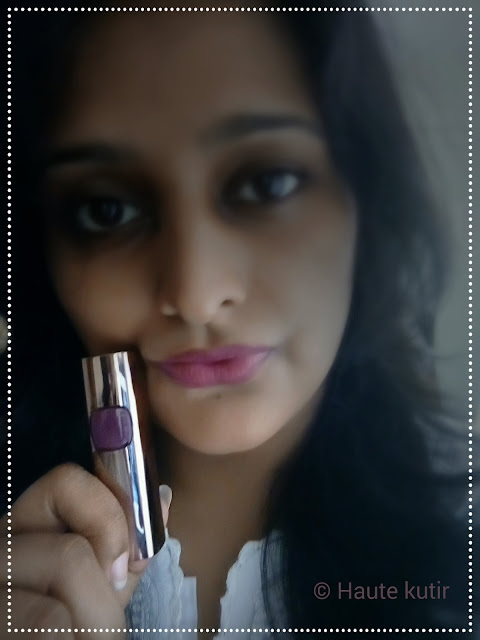 Nevertheless, I like this shade and it is now one of my favorite shades in the beauty kit. Go ahead, splurge yourself and get one. Haute Kutir Tips: Combine it with Gel Inteza eyeliner in Black to create a hypnotic look.